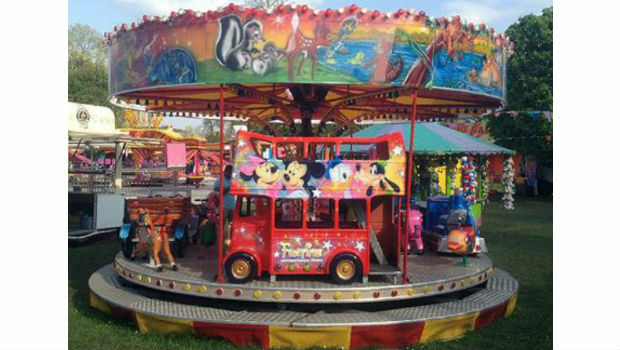 Fife Police are appealing for information regarding the theft of a funfair ride. The £40,000 ride was stolen between 6pm last Tuesday (December 31, 2013) and 1pm on Friday (January 3, 2013) from near the Kingdom Services, Halbeath. It was parked up on the service road approaching the Kingdom Services by its owner, along with another ride owned by him. Community Sergeant Darren Stewart said: “This is quite an unusual theft concerning a high-value piece of showground equipment. It is best described as being a children’s roundabout which is housed on an 18-foot trailer. The ride itself is pink and blue in colour with Disney characters on the top and has several horses, a red bus, a fire engine, a car and dolphins for children to ride on or in. Anyone with information is urged to contact Fife Police on 101 or Crimestoppers anonymously on 0800 555 111.